A.J. 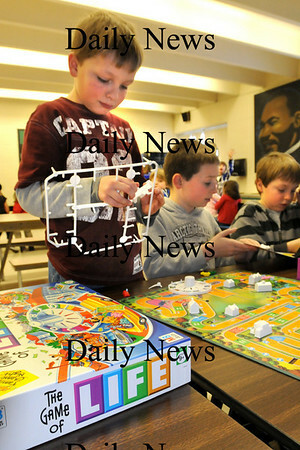 Carter, 10, with friends Evan Hangley, 9, Emmet Walsh, and Dane Webber, out of view, both 10, assembles a new Game of Life boardgame at the afterschool program at Amesbury Elementary School on Monday. It's one of the more popular games at the program, and the children were pleased to get the new game as the old one was worn out and missing pieces.